Happy Father's Day to all of our Girl Scout Dads! Thank you for all you do to make our Girl Scout Experience possible. As we approach Father’s Day this Sunday, we would like to take a moment to honor and celebrate all fathers—especially the fathers and father figures who are involved behind the scenes right here in Nassau County! Through their dedication they exemplify our key values, contribute to the power of Girl Scouts, raise our future entrepreneurs, and teach the value of being a volunteer. Dads have contributed to the Girl Scouts of Nassau County in innumerable ways. Many men volunteer their time throughout the year to play a role in leading our specialty clubs, council events, troop activities, camping trips, and cookie sales. Through their support, our council has made so many wonderful memories! We know from research that a girl’s relationship with her father aids in establishing her confidence and shaping her development. The men who volunteer in our council are committed to our mission to build girls of courage, confidence and character. 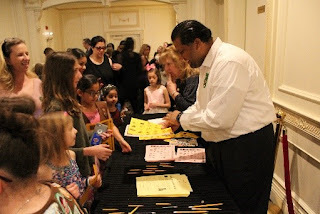 Mr. Tolani is raising the world’s next greatest entrepreneur by assisting with annual Girl Scout Cookie Program. 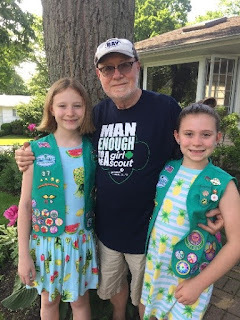 He works alongside his wife, who is his daughter’s troop leader, and believes being involved with the Girl Scouts as a dad is the best thing he has done for their relationship. As a salesman by day, Mr. Tolani looks forward to tying his profession together with selling cookies with his daughter. The pair have gone from selling 100 boxes in 2013 to selling 4,100 boxes of cookies and becoming the second highest seller for the past two years, which they consider one of their greatest accomplishments. Other dads, like Ray Brewer of Levittown, volunteer at events such as the annual Girl Scouts of Nassau County Girls Go the Distance Family FunDay. Ray has been a volunteer for more than a decade, and can be found every year helping manage traffic to keep attendees safe at events. Over the years, his daughter Keeley, who is now a teenager enjoys volunteering alongside her dad at events. Girl Scouts, tell your father, uncle, grandfather, brother and all the men in your life they can get involved in volunteering! The Man Enough Campaign is intended to inspire other men to get involved—like Mr. Tolani, Mr. Germans and Mr. Brewer—by offering three-tier packages of merchandise options to men who sign-up to volunteer from now through October 13. 2018. 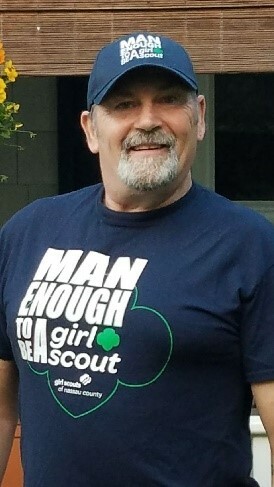 Men interested in volunteering can visit the website at www.gsnc.org, and choose one of the three tiers of the Man Enough campaign to sign-up. Men, you will not be disappointed in this incredible campaign we are throwing. So, Are YOU Man Enough?